So, I’ve been a proud, natural hair-wearing chick for the past 5 years or so. Just as I start to get comfortable in my regimen, comfortable with my look, and comfortable with what my hair choices mean to me, something always comes along to shake things up. Random person looks at my hair again with slight disappointment. I often don’t have to guess at what that “Oh” means. Sometimes, they’ll come out and say with a tinge of pity, “Oh – your hair grows slowly, doesn’t it?” or “Did you recently chop it off?” or something to the effect that tells me that my hair length and length of time being natural don’t match up in their head. And there’s that word: length. These days I find myself thinking about fixations on hair length, and what it all means. Now, to be honest – I did recently cut a lot of hair off. 2013 wasn’t a great year for hair health, and it really started to show. Stress levels, poor nutrition, and lack of proper time/effort all led to my hair being probably at its worst since I’ve gone natural. It got thin, stopped growing, broke a lot, and generally let me know how poor of a caregiver I was. And if that wasn’t enough, I decided to go all out and colour it for my 30th birthday – and then I continued to fail on the TLC tip. An appointment at Curl Bar a couple of months ago was all I needed to get back on track. I went back to black, cut off a lot of the damaged hair, and recommitted myself to letting my hair flourish in all the glory I know it possesses. However, the responses and discussions around my hair have been interesting of late. My hair doesn’t look like 5 years of growth, I guess. 5 years of growth should mean a humongous halo of hair, kinks and curls as far as the eye can see, and a massive, beautifully uncontrolled spillage of locks – right? In an ideal world, that’s what I’d have. But I don’t, and it’s OK.
Well, it’s OK most of the time. I’ll be honest – I’ve had my share of fixation on my hair’s length, width, and thickness, and have often looked at myself in the mirror with disappointment when I felt I haven’t hit my mark. 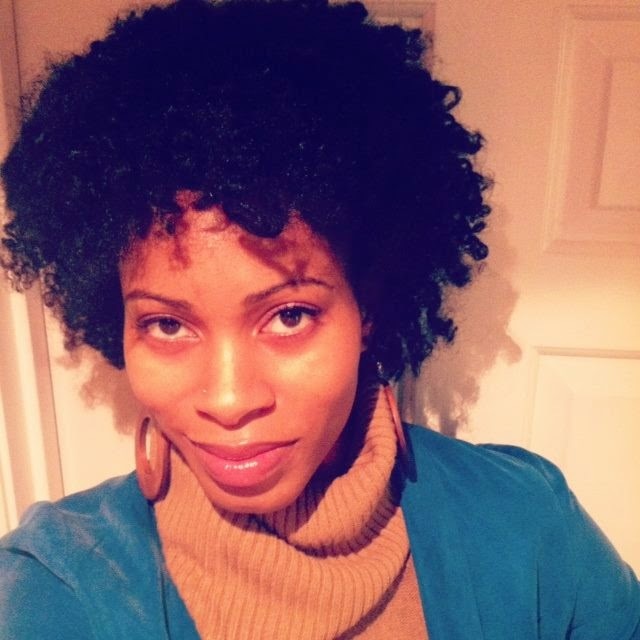 In the natural hair community, we tend to focus so heavily on length, for a variety of reasons. One being the beauty ideal that states that femininity is related to long, healthy, gorgeous hair. Another being the fact that we’re so amped to prove those wrong who think natural Black hair can’t grow. Both of those points have mattered for me, and while it’s great to have ambitions towards beautiful, big hair – I have to remind myself that there’s more to it than that. Before I can focus on length, I know I have to focus on health. I really and truly have to do a better job of taking care of my hair from now on, and I can’t allow myself to slide like I did this year. I also have to let my length goals be secondary, and not allow others’ judgements to get me down. Being that I’m a blogger who is a strong advocate of natural hair, I remain conscious of the fact that my hair is almost a representation of my work. Have I felt in recent times like I’ve disappointed people who’ve met me in real life? Call me sensitive, but yes. However, I have also become more of a supporter of the variety of hair choices we have at our fingertips. Grow it, cut it, loc it, colour it – the most important aspect for me right now is to take care of it. Are you fixated on length? Have you ever caught yourself judging someone else’s hair based on what you think it should look like?